The band Mountain Country is a hard working Salt Lake City project formed in 2013 around the songwriting and singing of Jim Fish. Mountain Country performs spirited acoustic music in a variety of settings both public and private. 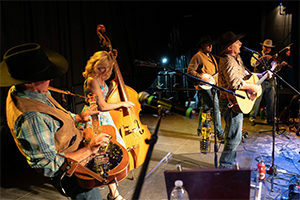 Much of their “home grown” original music is built around the desire to be stewards to the Americana styles of Country, Folk, and Bluegrass music. Notable past performances include the Utah Arts Festival, the Evanston Bluegrass Festival, Bluegrass Saturday Night at the Gallivan Center, Joe’s Valley Festival, Craft Lake City Festival, Spring City Music Festival, and the Wasatch Mountain Music Festival!